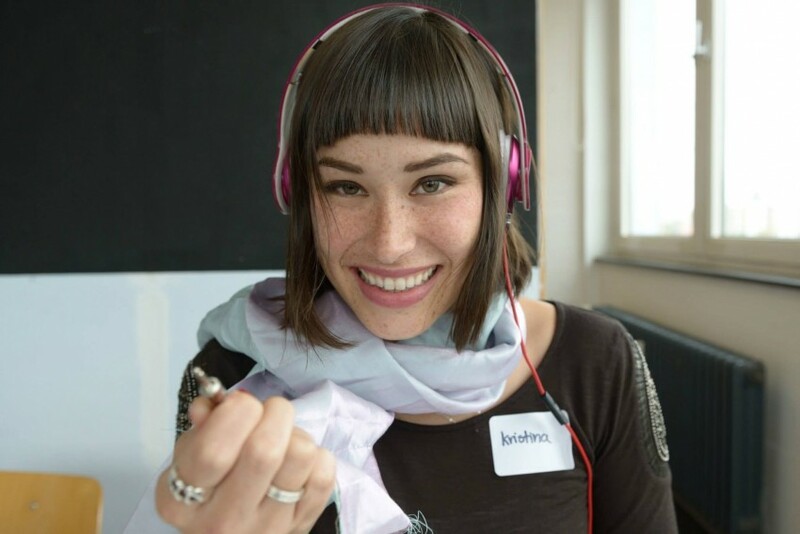 This Scarf is for Audio Geeks #WearableWednesday « Adafruit Industries – Makers, hackers, artists, designers and engineers! I’m still glowing from my trip to Wear It Berlin, and luckily I got an update this week from Becky Stewart for her super cool workshop I witnessed — Solo Disco Scarf. Becky’s PhD has uncovered so many fine details of audio that it makes my love of LEDs seem unbalanced. So, I’m very excited that the tutorial for this scarf is now out — check it out! The scarf allows you to patch audio, so you can choose mono left, mono right or mono both. You can be your own undercover audio engineer for your listening pleasure. Becky likes to get people excited about art and tech and leads workshops through Codasign. She had some specific goals in mind when she invented the scarf project. I enjoy teaching workshop students with a craft or sewing background how to work with electronics through soft circuit projects. The most common introductory projects are based on attaching an LED to an item of clothing. I wanted to branch out and use a different interaction besides light and also wanted the item of clothing to be gender-neutral. 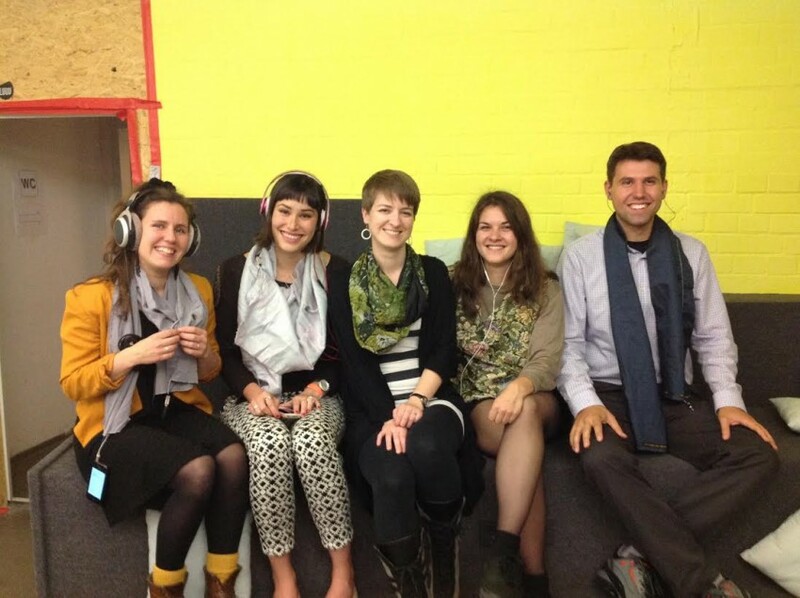 An audio scarf was then born! This project doesn’t take much in hardware — it’s only a headphone jack and socket. 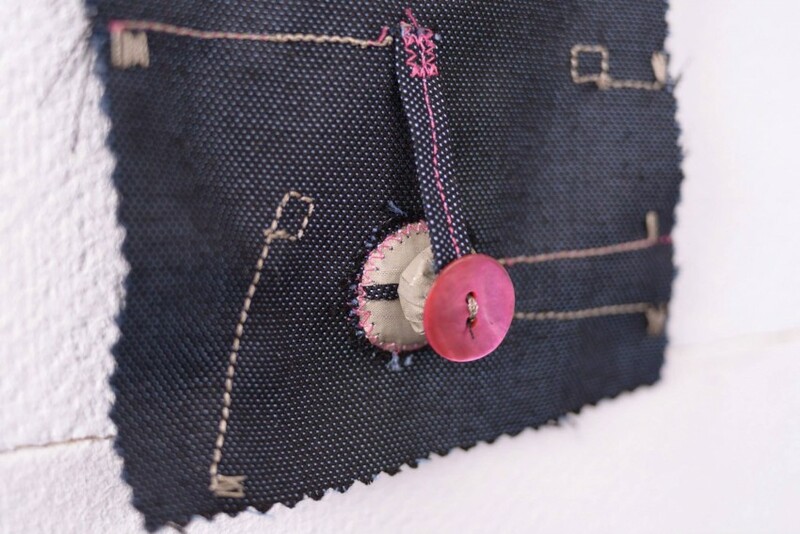 The other interesting materials used include conductive thread, conductive fabric and magnets. As you can see in the pic, the covered magnets work like a switch to create the panning. With all the potential listening options, I was really curious why Becky wanted to stay with mono. Using mono was an engineering decision along with a teaching one. I wanted to make the audio interactive while minimizing the number of different materials needed and keeping the project achievable within the confines of a one-day workshop. I didn’t want to include any active circuitry and keep it a simple passive circuit. Panning was the easiest audio effect that fit these restrictions. Here’s Becky in the center of her groupies, who were obviously happy with their outcome. By the way, a special thanks to Becky, as well as Michael Wittig, for the photos. I remember trying to get a photo in the hotel lobby of Becky’s first test scarf, and the lighting was so dark with all the candles that you could barely tell what it was. I just knew that I loved the magnets completing the circuit and I didn’t want to forget about it! Anyway, it was so interesting to see how others ended up customizing their scarves, and it looks like Becky’s gender neutral wishes for this project were fulfilled, too. I’m totally psyched to start my own audio project now, and I’m sure you are, too. So, consider Becky’s scarf, or try our FLORA MIDI Drum Glove. Let your fingers make the beats and learn about tech at the same time. A button could also perhaps be a potentiometer knob.